The Magpie Inn right at the very centre of Dalkey Village , serves reasonably priced , modern Gastrobar food and offers an extensive list of Craft Beers & Ciders . The decor with a modern feel yet retaining an aged character , lends to a very relaxed , cosy atmosphere , which could easily keep you staying there all day . Weather permitting , the large windows open out and if you are lucky to secure a table outside , it makes for an ideal spot for people watching . We dropped in on a Sunday for some Brunch -Lunch . The staff are very helpful and friendly and we are immediately settled in despite the fact that the place was busy . A very good start . 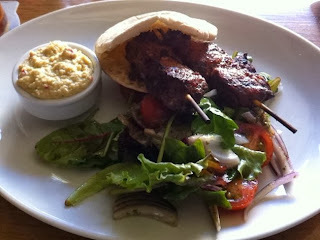 A starter of Grilled Lamb Tagine Skewer , was served with some warm pocket pitta bread , fresh humus , red chili dip and side salad of baby leaves , red onions & cherry tomatoes . The lamb was juicy and very tasty . With just enough spices to evoke memories and flavours of the middle east . Grilled Tiger Prawns , jasmine rice & saffron creme fraiche was disappointing . While the prawns were succulent , beautifully cooked and seasoned , the rice was over dry and reminded me of something out of " Cook in a bag " consistency . The saffron creme fraiche was and after thought and hardly there . But as a starter , I was quite happy , to do without the rice . 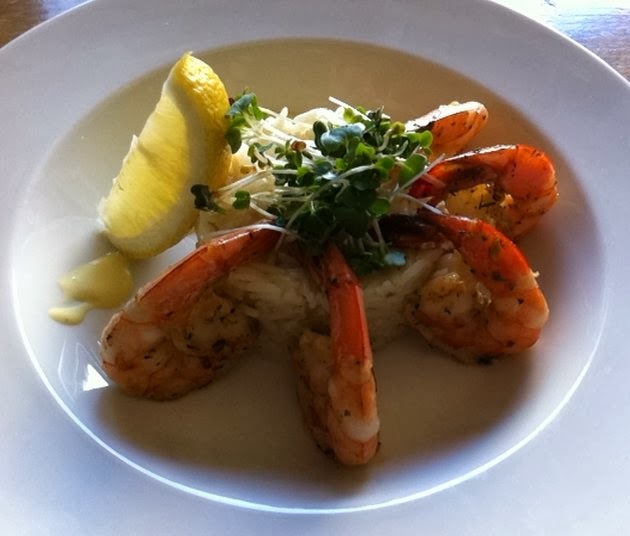 Along with a squirt of lemon juice , I polished off the tasty prawns on offer . 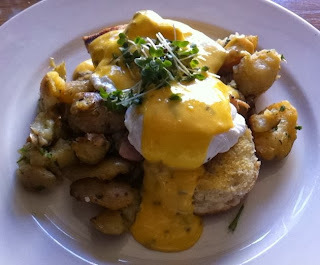 Our main of Egg Benedict with smoked bacon , crushed paprika potatoes & bearnaise sauce was fabulous . A beautifully poached egg sat atop some smoked bacon on a toasted muffin , the whole ensemble coated in a rich , buttery and flavoursome bearnaise sauce . 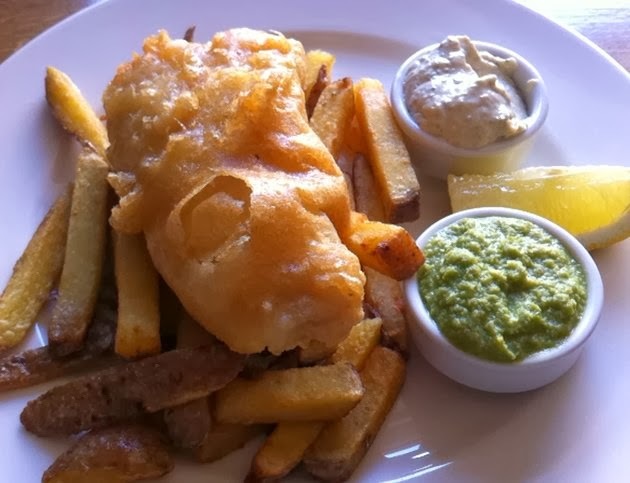 Pale Ale Battered Haddock , chunky chips , tangy tartar sauce & pea purée was also spot on . A light crisp batter gave way to some tasty pearly flakes of haddock . Good freshly cut chips and the accompanying sauces made this A Perfect Fish & Chips . We love the ambiance of the place and the great selection of real Irish ales , Irish malts & Irish whiskeys. There is also a Beer garden and free wifi .